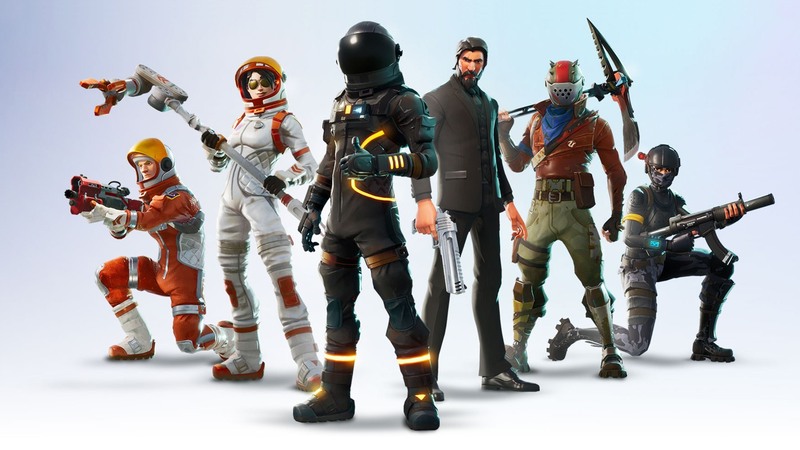 Fortnite is a very well optimized game, but if you want to give yourself the best chance to get that top spot, you need to make sure Fortnite is consistent and frame drop free while maximizing visibility. For battle royale games, you need to be able to spot enemies at long distances and not have crazy effects get in your way. Because Fortnite isn’t a super twitchy reactive shooters like CS:GO or Overwatch, you don’t need to ensure you get skyhigh FPS. Once you get these settings right, hop in the party bus and start earning those victories! Below are settings that closely follow what Fortnite legends like Ninja and Dakotaz use, no blaming your gaming gear if you lose! 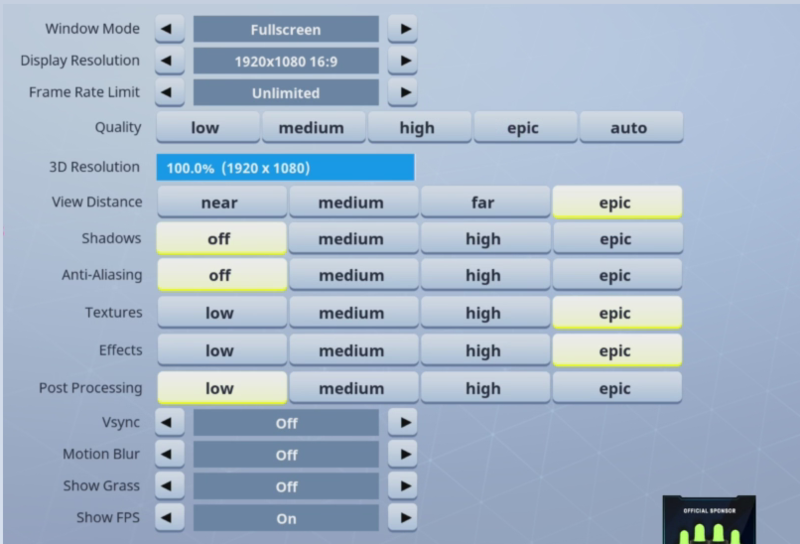 Go dedicated full screen, dedicated full screen gives Fortnite priority and will lower your input lag. Set this to your monitor’s native resolution. Anything other than your monitors native resolution will cause scaling and therefore blurriness. You don’t want a blurry dot to snipe you in Tilted Towers do you? Generally turn this off unless your frame rates go from 200 to 30, you should turn this on if your frames are inconsistent. Don’t use any of these, you’re here to custom set this! Start off by setting this to 100%, if you’re finding your framerate t00 low, then set this to the next step down. Set this as high as you can, preferably epic. This should be priority 1 in your settings. Turn shadows off, shadows are a bit weird add a lot of extra darkness in Fortnite without providing a ton of advantage. Anti-aliasing generally off, Fortnite only has post-processed anti aliasing, causing a lot of extra blurriness and drops your frame rate a bit. Turn textures up as high as you can, you’ll get better clarity on players and objects. You can turn this up as high as you can, effects don’t hurt visibility. Turn post processing off, post processing will make your picture blurrier. Off, V-Sync adds significant input lag, get a G-Sync or Freesync set up if you need frame syncing. You want this turned off, motion blur just make it harder to see things when you’re looking around and you’re not playing a cinematic “movie” game here, you’re parachuting in to WIN. Your preference, you should leave this on when initially setting up your video settings. This is obviously personal preference, you can set these to however you like it so you can build really quickly. Building Slot 4 (Roof) Find a place or unbind, if you have a higher button mouse, assign it to your preference.